Significant global and local societal shifts marked 2018. Now more than ever, FMCG brands that clearly communicate their identity and what they stand for will win going forward. Brands that walk a middle ground will find themselves in “no man’s land” as consumers increasingly make definitive value-based choices. For some, it may mean changing the brands they buy, choosing between local versus global products, or buying organic or vegan foods versus other food choices, as highlighted in IRI’s Shopper Survey. In South Africa, the impact of these changes will be significant. Young consumers are grappling with current circumstances, whether that is a stagnant economy, social inequality or climate change. Our youth understands that they are the generation to solve both global and local challenges. For this reason, expectations of brands are high as young consumers demand strong ethics, authenticity and transparency. Faced with a fragile economy at the mercy of political decisions, the majority of South Africans in 2019 will see price as key and seek value-for-money. Private label and either bulk or portion size products will be favoured, depending on budgets. For example, private label in Frozen categories has an interaction with branded products and is growing exponentially. Manufacturer brands need a clear point of difference as private brands gain equity. 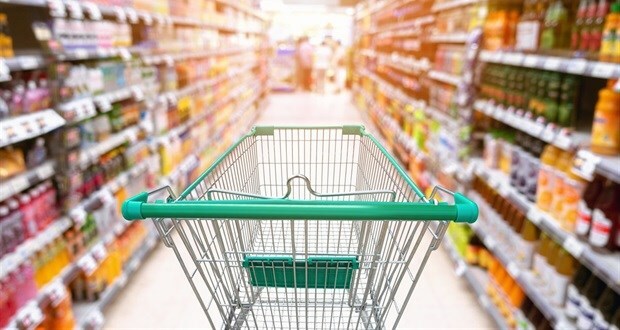 The proliferation of private brands will continue to gain momentum through further penetration into new categories, as well as the growing number of SKUs on shelf. But we still need to reward ourselves. Products that are consumed conspicuously, or are considered “close-to-me” products, is where we continue to spend handsomely. For younger consumers, the need to be on trend, while simultaneously making a bold identity statement is fundamental to brand choice. Some of the strongest innovation has recently come from the liquor industry, where manufacturers have successfully premiumised categories such as beer, vodka and gin. With the continued rise of medical and medical aid costs in South Africa, the growth of self-medication and health and wellness related markets will continue into 2019. Cough and cold OTC medication is seeing strong growth and the demand for foods catering to food intolerances, such as sugar, gluten or lactose-free products, is higher than in Europe. According to Discovery Health’s ObeCity Index 2017, obesity in South Africa is increasing faster than the global average and is particularly prevalent in females. As a result, diet-related diseases will continue to grow in 2019, driving the demand for disease-related food intolerance and relief products, as well as weight loss solutions. 4. Ready, quick … go! Continued store expansion, the increase in shopper store repertoires, and a preference for shopping closer to home point to the demand for convenience. Shoppers are also looking for convenience in what they are buying. The launch of UCook and Daily Dish provide direct delivery restaurant quality meal kits that can be cooked at home, while Checkers’ Ready to Chef meal kits provide healthy, quality meal solutions that help reduce meal planning and shopping time. The growth in nutritious on-the-go snacking solutions indicates the need for convenient packs, as well as a shift into healthier and more nutritious product offers with trail mixes, biltong and nuts being popular choices. Retailer-led health and wellness innovation is likely to continue into 2019, changing and trending with the latest health research. A shorter time horizon for an average increase in temperature of 1.5ºC and the risk of extreme weather events has increased threefold. According to the African Climate and Development Initiative at the University of Cape Town, South Africa has experienced a decrease in rainfall and the number of rain days in places, while annual maximum and minimum temperatures have increased. The recent drought experienced in the Western Cape drove Bottled Water to double-digit growth, while heating or cooling systems grew significantly as a result of more extreme temperatures. With the predicted increase in temperatures and climate-related uncertainties, potential food source scarcity may put product availability and prices under pressure. Our impact on the environment is a growing concern for consumers, as highlighted in our recent Shopper Survey, particulary in relation to packaging. This increased awareness is likely to encourage manufacturers to use less plastic, or source alternative forms of packaging. Spar and Woolworths are encouraging positive packaging alternatives and Checkers is refunding shoppers 50c when they reuse their 100% recyclable shopping bags. Big business is getting bigger through partnerships and collaboration, creating mutually beneficial ecosystems for both business and the consumer. For business, it offers reduced capital expenditure and potential risk, allowing them to stick to their core strengths, but with access to specialist expertise provided by the partnership. For the consumer, it offers increased convenience. Pick n Pay’s partnering with TymeBank to provide credit and digital banking services to their clients and Checkers LiquorShops extending their distribution network via Mr Delivery are examples of this. The use of big data to drive business decisions will continue to grow this year and become the foundation for both strategic and tactical decision making. Data-based decisions are increasing efficiencies in retailers, driving the rebirth of category, stock and supply chain management and informing innovation, all positively impacting margins. Loyalty card data is providing greater insight into buying behaviour and enabling shopper segmentation and buyer profiling. The ability to tailor marketing and media to one-to-one messaging will become common practice. Data is providing greater business insight, allowing businesses to become more agile, efficient and effective. Marylee Townshend is currently the Learning and Development Director at IRI. Marylee has a strong track record with over 24 years of experience in both marketing research and education. Before her current position at IRI, she was IRI's Client Service Director during which time she developed a comprehensive understanding of the FMCG (CPG) industry, the South African retail environment, as well as manufacturer and consumer needs. A brilliant and informative article.